The parents get Fred's Magical Birthday Party Experience Planning Guide - Loaded with tips & tricks to host the perfect magic themed party! Each child will get Fred's Magical Activity Sheet containing coloring pictures, word puzzle and game. ​And of course your child is made the real STAR by featuring them throughout the show! Children, friends, family & associates are featured throughout as Fred packs each show with fun, mystery, surprises and loads of audience participation! Fred makes everyone feel a part of the magic. 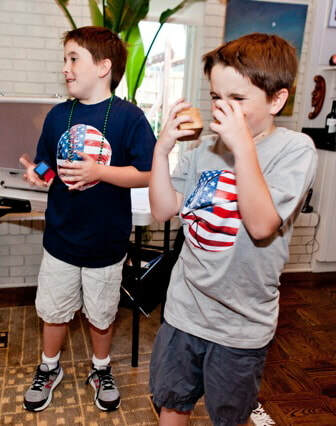 These family friendly / interactive shows are perfect for parties, banquets, corporate functions, Family and special events. Whatever your entertainment needs are Fred can tailor any show to fit you needs and requirements. and then doing something that can't be done! Sophisticated Amazement is a more intelligent magical experience. Suitable for adult audiences at in-home parties, banquets, corporate events, luncheons, etc. We have heard nothing but raves about your show! Several people mentioned how adept you are at keeping things moving and how entertaining and mystifying your tricks are. In particular, the "forks" were a hit, as well as the bucket you extended on a pole and, of course, people all over Evanston are trying to recreate the Toilet Paper Puppet. As for our planning and working together, you are a delight to work with and I felt very confident that your show would be a just as good as it was. 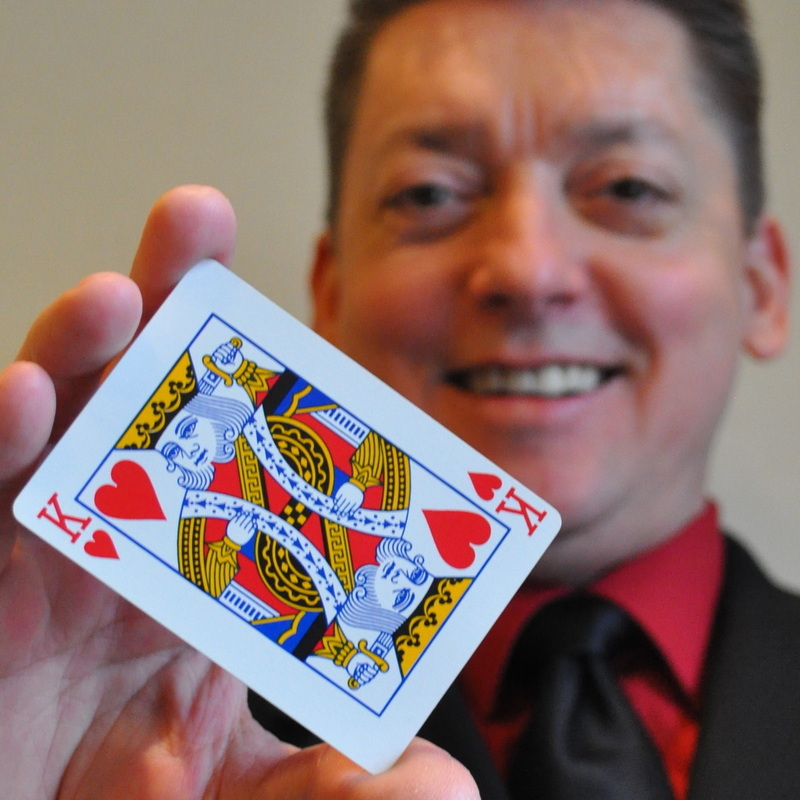 I can certainly highly recommend your magic show and would be happy to be a reference for any of your future clients. 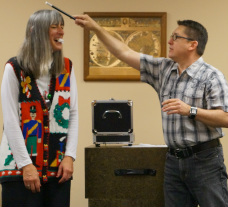 Intimate magic performed for small groups in a festive setting! House parties, banquets, engagement parties etc. The perfect addition to Cocktail Hour! 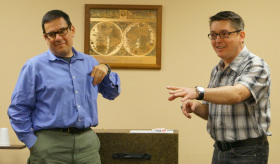 Q: What former Cub Scout is now a professional magician who performs in the Chicagoland area? I was a Cub Scout 42 years ago (Pack 79 in Niles, Michigan) and sincerely enjoy performing for family audiences. I know how important and special Blue and Gold Banquets are. The Blue and Gold Banquet is one of the most important events of the year for your Cub Scout Pack - Bringing families together to celebrate Scouting and to enjoy having fun. Naturally, you want this year's Banquet to be an extra-special event that the Scouts and their families will enjoy and remember, so do I. Entertaining for the whole family! Scout on-stage volunteers are chosen through Scouting Trivia Questions! By Focusing the show on your pack, the Scouts and Leaders they themselves become the stars of your banquet festivities! If experience matters to you - Call Fred. He's been a professional performer for over 35 years. 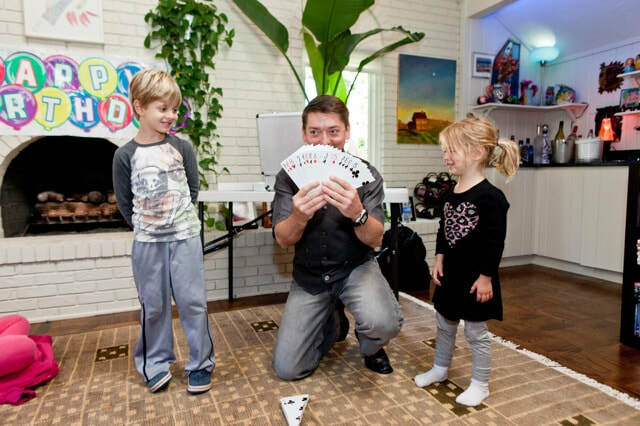 A magic show is also a great option for den meetings too!